I've been totally dying waiting to share this wreath. I made it back in October and entered it in to the fair and won first place! 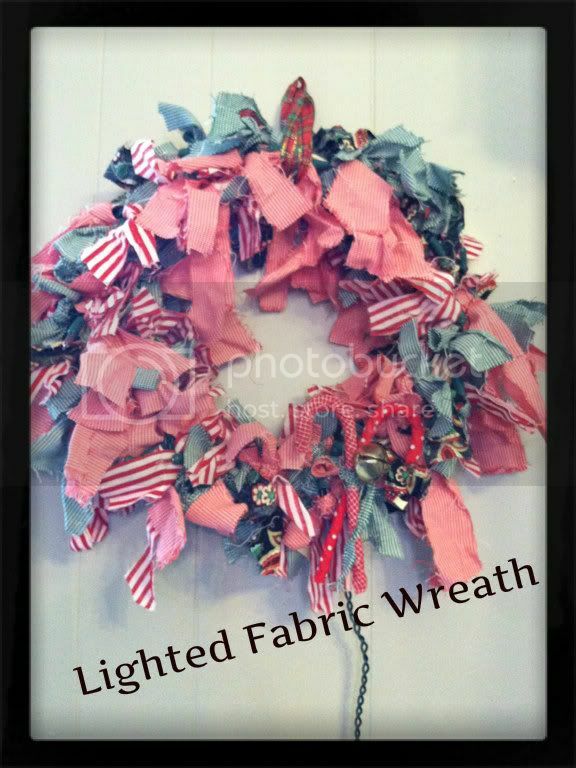 It's awesome because it's so freaking easy and I combined two projects I recently shared to make one fun wreath. 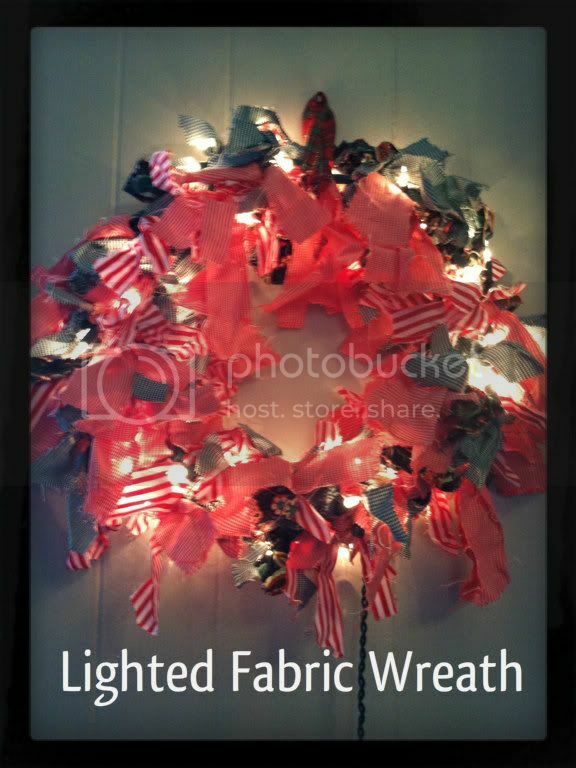 First, I used the Lighted Fabric Garland and wrapped it around a small wooden wreath frame. Then, I tacked on two of my Fabric Covered Candy Canes. And I hung it up. Wow, congrats on winning first place! Love this! Its so pretty! Cool! I love the lights! Very cute. I am such a wreath person!! Just made a cute wine cork wreath you should come check out! Here visiting from the Link Up Party on Pincushion Creations.